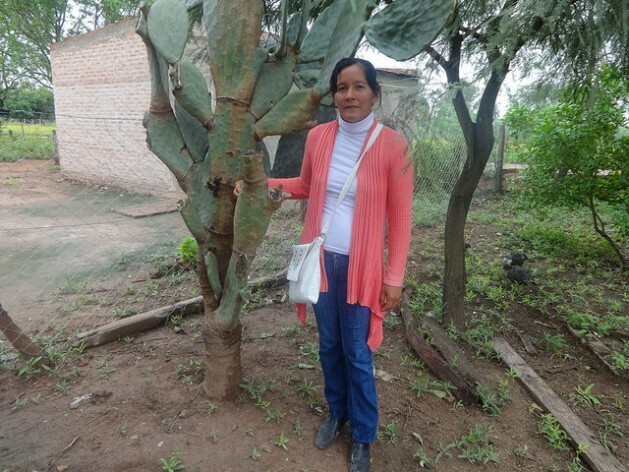 CORZUELA, Argentina , May 23 2016 (IPS) - Family farmers in the northern Argentine province of Chaco are gaining a new appreciation of the common prickly pear cactus, which is now driving a new kind of local development. 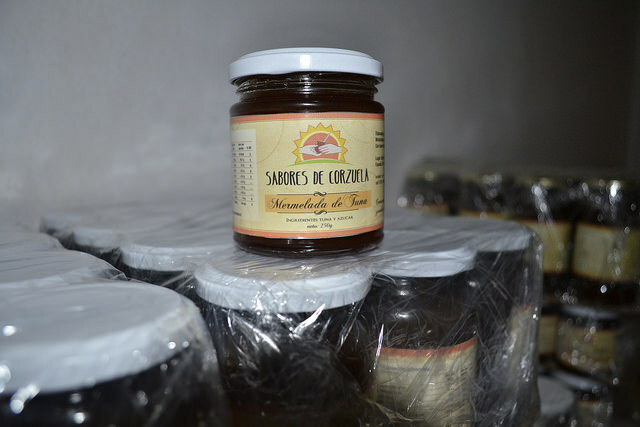 Hundreds of jars of homemade jam are stacked in the civil society association “Siempre Unidos Minifundios de Corzuela” (smallholders of Corzuela united), ready to be sold. Until recently, the small farmers taking part in this new local development initiative did not know that the prickly pear, also known as cactus pear, tuna or nopal, originated in Mexico, or that its scientific name was Opuntia ficus-indica. But now this cactus that has always just been a normal part of their semi-arid landscape is bringing local subsistence farmers a new source of income. “The prickly pear is the most common plant around here. In the project we set up 20 prickly pear plantations,” she said. Local farmers work one to four hectares in this settlement in the rural municipality of Corzuela in west-central Chaco, whose 10,000 inhabitants are spread around small settlements and villages. The initiative, which has benefited 20 families, made up of 39 women, 35 men and four children, has been implemented by the United Nations Development Programme (UNDP) through the U.N. Environment Programme’s (UNEP) Small Grants Programme (SGP). The SGP, which is active in 125 countries, is based on the sustainable development concept of “thinking globally, acting locally”, and seeks to demonstrate that small-scale community initiatives can have a positive impact on global environmental problems. The aim of these small grants, which in the case of the local association here amounted to 20,000 dollars, is to bolster food sovereignty while at the same time strengthening biodiversity. The SGP has carried out 13 projects so far in Chaco, the poorest province in this South American country of 43 million people. In the region where Corzuela is located, “there are periods of severe drought and fruit orchards require a lot of water. The prickly pear is a cactus that does not need water,” said Gabriela Faggi with the National Agricultural Technology Institute (INTA). The large-scale deforestation and clear-cutting of land began in 1990, when soy began to expand in this area, and many local crops were driven out. “The prickly pear, which is actually originally from Mexico but was naturalised here throughout northern Argentina centuries ago, had started to disappear. So this project is also important in terms of rescuing this local fruit,” said Faggi. This area depends on agriculture – cotton, soy, sunflowers, sorghum and maize – and timber, as well as livestock – cattle, hogs, and poultry. However, it is now impossible for local smallholders to grow crops like cotton. Before launching the project, the local branch of INTA trained the small farmers in agroecological techniques for growing cotton, and helped them put up fences to protect their crops from the animals. They also taught them how to build and use a machine known as a “desjanadora” to remove the spines, or “janas”, from the prickly pear fruits, to make them easier to handle. “It’s going well for us. Last year we even sold 1,500 jars of prickly pear fruit jam to the Education Ministry,” for use in school lunchrooms, Maldonado said proudly. The association, whose work is mainly done by women, also sells its products at local and provincial markets. And although prickly pear fruit is their star product, when it is not in season, they also make jam and other preserves using papaya or pumpkin. “It has improved our incomes and now we have the possibility to sell our merchandise and to be able to buy the things that are really needed to help our kids who are studying,” Mores said. The project, which began in 2013, also trained them to use the leaves as a supplementary feed for livestock, especially in the winter when there is less fodder and many animals actually die of hunger. “We make use of everything. We use the leaves to feed the animals – cows, horses, goats, pigs. The fruit is used to make jam, removing the seeds,” said Mores. The nutrition and health of the families have improved because of the properties of the fruit and of the plant, said Maldonado and Mores. And now they need less fodder for their animals, fewer of which die in the winter due to a lack of forage. At the same time, the families belonging to the association were also trained to make sustainable use of firewood from native trees, and learned to make special stoves that enable them to cook and heat their modest homes. In addition, because women assumed an active, leading role in the activities of the association, the project got them out of their homes and away from their routine grind of household tasks and gave them new protagonism in the community. “Living in the countryside, women used to be more isolated, they didn’t get out, but now they have a place to come here. They get together from Monday through Friday, chat and are more involved in decision-making. In the association they can express their opinions,” said Maldonado. “When women get together, what don’t we talk about?” Mores joked.